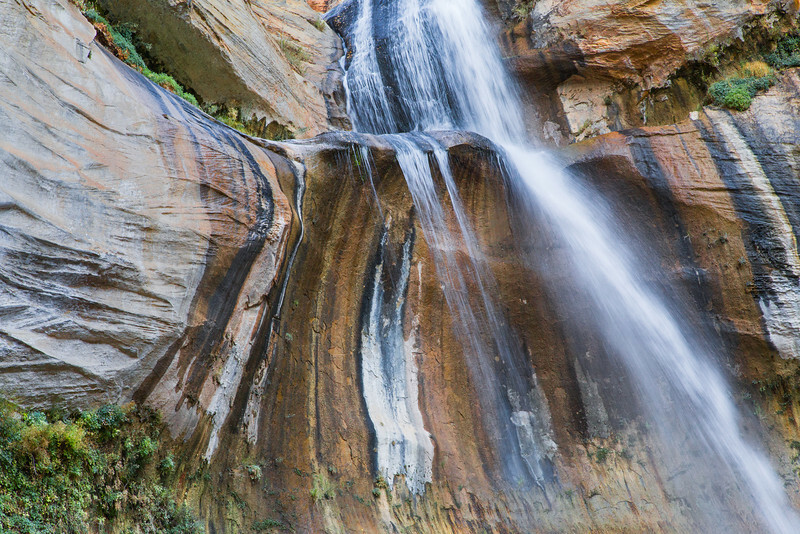 Lower Calf Creek Falls is a most colorful and exciting place. In this more full view of the falls from the side, they appear to be falling to the right. A 3:2 image.